Black Mask is coming to drive the Birds batty. 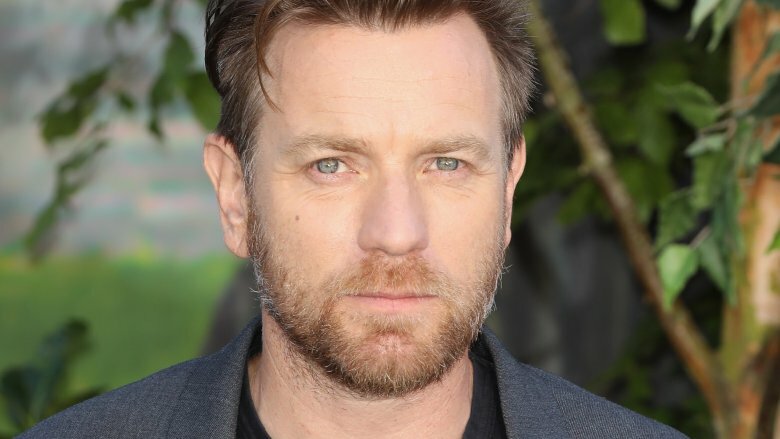 Deadline reports that Ewan McGregor has joined the cast of DC and Warner Bros. big-screen adaptation of Birds of Prey as the villainous Black Mask, a longtime fixture of Batman's rogues' gallery. McGregor fills out an already stacked cast, which includes Margot Robbie (as Harley Quinn, reprising her Suicide Squad role) as well as Mary Elizabeth Winstead (10 Cloverfield Lane) and Jurnee Smollett-Bell (True Blood), who will take on the roles of Huntress and Black Canary, respectively. For those unfamiliar, Black Mask is the alter-ego of Roman Sionis, a self-absorbed rich kid who murders his parents and takes over his father's business. Publicly humiliated by Bruce Wayne, he takes on the guise of Black Mask and becomes a ruthless crime lord, devoting his life to amassing power and getting revenge on Wayne — which, of course, runs him afoul of the Dark Knight early and often. Warner Bros. has famously stumbled with their DC Extended Universe films, which have garnered decent box office revenue but failed to match the critical success of rival Marvel Studios (2017's Wonder Woman notwithstanding). But Birds appears to be in very good hands; Warner Bros. was confident enough in scribe Christina Hodson's screenplay to hand her writing duties on its forthcoming Batgirl adaptation, and she also penned the impending Transformers spinoff Bumblebee. Director Cathy Yan landed the job on the strength of her indie feature Dead Pigs, which won the World Cinema Dramatic Award For Ensemble Acting at last year's Sundance Film Festival. Together, the two promise to bring a fresh perspective to the DCEU — and, notably, a female perspective, which worked out well for Wonder Woman. McGregor's profile has been raised of late with his work on the FX drama Fargo, for which he recently nabbed a Best Performance Golden Globe. Warner Bros. was reportedly high on working with McGregor again following his performance as Danny Torrance in Doctor Sleep, its forthcoming big-screen adaptation of horror maestro Stephen King's sequel to The Shining. Birds will reunite him with Winstead, who stole Fargo's third season with her performance as shady card shark Nikki Swango. Birds of Prey will be the first foray into the superhero genre for McGregor, who has largely shied away from giant tentpole pictures since his turn as Obi-Wan Kenobi in the Star Wars prequel films. But throughout his career, he's proven to be an actor of remarkable range, and he seems an inspired choice to bring just the right notes of bitterness to one of DC's most cold-hearted villains. Birds of Prey scheduled to hit screens on February 7, 2020.